A pinched nerve is a condition where a nerve is under excessive pressure. Surrounding tissue including bones, tendons, muscles, or cartilage can all apply excessive pressure on a nerve and cause numbness, weakness, tingling, or pain in the area. A common place for this to happen is in the lower spine as a result of another problem known as a herniated disk. It puts pressure on the root of the nerve. This can cause a great amount of pain that radiates through the back portions of the legs. When a pinched nerve is in the wrist, it can cause numbness or pain in the hands or fingers. Some conservative treatments offered relieve pain in from pinched nerves in a matter of days. For others it may take weeks. Surgery may also be helpful to get relief from the pain caused by a pinched nerve. Many different symptoms can show up for people who suffer from pinched nerves. Decreased sensation or feeling numb in the area that gets supplied by the nerve is a common symptom. Pain that radiates is often described by patients that burns or is sharp. It radiates out from where the nerve got pinched. Being in direct contact with the spinal cord while sneezing or coughing can make the pain worse. The feeling of pins and needles is called paresthesia and is commonly associated with a nerve that gets pinched. Tingling sensations, twitching, and muscle weakness in the affected area are often expected. Frequently feeling like your hand or foot has went to sleep is often found as well. While trying to sleep, it is common for these symptoms to become much worse. See a doctor is you have any signs or symptoms of a nerve that got pinched. Resting and using NSAIDs may help to relieve pain and pressure. Too much pressure on one of your nerves means that it is pinched. 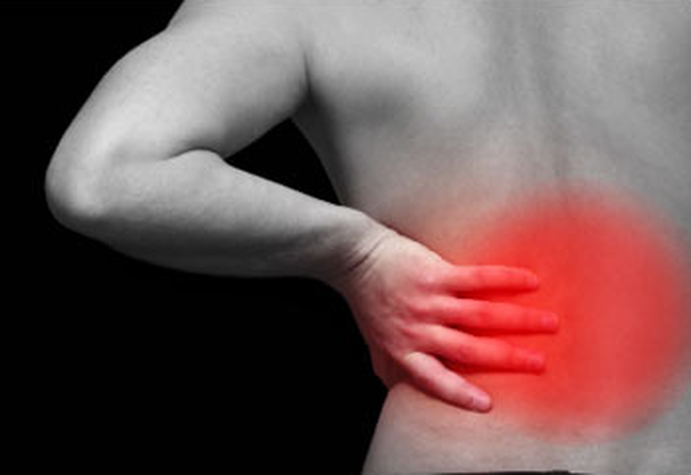 Herniated disks have caused many cases because they press down and compress the nerves root. Muscle tendons can cause extra pressure as well. Various conditions can end up compressing your nerves. Repetitive tasks can cause injuries or stress that cause pressure in certain areas. Two medical conditions that can add to nerve pressure is obesity and osteoarthritis. Some hobbies and sports is a contributor. Even having poor posture can end up pinching nerves. If a nerve gets pinched for a short period it may have no permanent damage. Relieving the pressure causes the nerve to go back to its normal function. If pressure is not relieved, expect to have chronic pain and possibly permanent nerve damage. What are the Common Risk Factors? Risk factors that increase someone's risk of getting a pinched nerve include poor posture. It is very likely that having bad posture will add pressure to your spinal area and any nerves in the area. It is easily corrected in most cases. Osteoarthritis can cause bone spurs which can cause stiffening of the spine. When the space that nerves are left to travel in becomes narrowed, this often results in a pinched nerve. Rheumatoid arthritis is known to cause inflammation that can compress nerves. Obesity can also put unneeded pressure on nerves as well as weight gain associated with pregnancy. If you believe that you might have a pinched nerve, talk to a doctor right away. They will be able to tell you where the pain is coming from exactly. They will also help to push you in the right direction in seeking treatment.